Five years after their cover of Kate Bush’s ‘Running Up The Hill’ reconfigured a kooky classic into a devastating disco anthem, Chromatics have returned with “Kill For Love”, a 90-minute opus that’s already a contender for the album of the year. Opening with a mournful cover of Neil Young’s ‘Hey Hey My My (Into The Black)’ sung by Ruth Radelet in a vaporous falsetto, they build upon the beautifully melancholic electronica of 2007’s ‘Night Drive’ swerving from abstract, stretched out instrumentals to catchy synth-pop sighs and on ‘Lady’, they double down on menacing, pulsating beats. Dazed Digital: The album is already epic in scope and length but you initially recorded 36 songs for 'Kill For Love' – how did you whittle it down to 17? Johnny Jewel: We were recording constantly and out of that came 36 contenders for a new album. There were over 100 beats and lyrical concepts. The final 17 were chosen because they each served a very specific purpose on the entire record as a whole. For us, it’s really about the complete picture. We don’t focus on the idea of a single. Chromatics is about space, colour, mood, emotion. 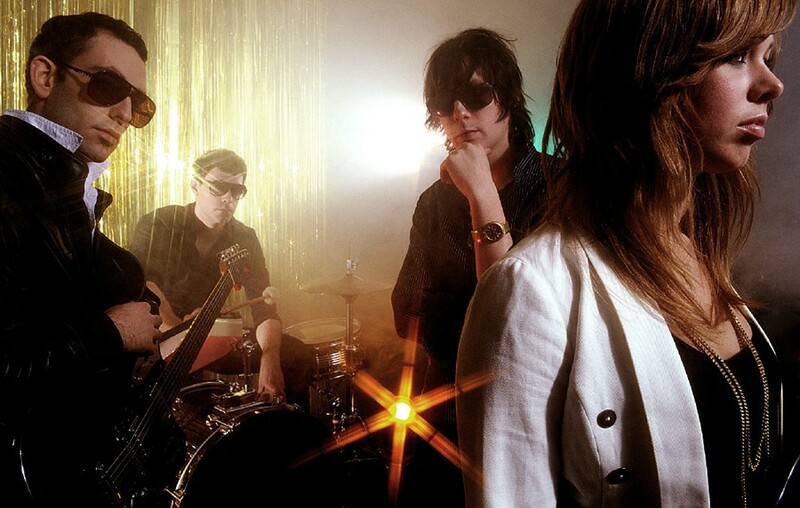 DD: You once described the sound of Chromatics as “Portland at night in the rain” – does it still hold true? Johnny Jewel: It’s still true but I recently listened to the early mixes on the beach in Maui in the middle of the day and realised that it works just as well in that context. The mood is opaque enough to paint your environment and translucent enough to overlap at the same time. Tonally “Kill for Love” is more dense than “Night Drive”. It’s heavier on the bottom and brighter on the top. The middle spectrum is richer. “Night Drive” was mixed to sound like breaking glass from a car crash and “Kill For Love” was mixed to sound like a cement brick dropping into the Williamette River from the top of the Ross River Bridge. DD: Was it more of a collaborative effort this time around? Johnny Jewel: This record was much more of a collaboration and because of that, it’s a superior album. A lot of people forget that “Night Drive” was a demo which we released to accompany us on a tour in California in the summer of 2007. Then everything just exploded so we released the demo as the album. It was never finished or even mastered. It used to drive me insane but I have come to love the unfinished nature of the record. It somehow exaggerates the sense of longing and reaching of that period for us. DD: Can you tell us about your approach to your unique-sounding covers? What drew you to those songs and why did you deconstruct them in that way? Johnny Jewel: All the songs we cover are chosen because they have a deep link in my life to a traumatic experience that forced me to change and become who I am today. We pay our respects to the songs that embody those periods of change. When we cover a song, we do it from memory. I usually try not to listen to the song for about 6 months before making the beat. It’s all memory like a hazy dream. That’s why it sounds like Chromatics. We are not musicians and our covers are like primitive cave paintings of the originals. Then we revisit the song to figure out the lyrics because I can never remember anyone’s lyrics other than Ida No, Sinead O’ Connor or Morrissey. DD: Were you disillusioned with the experience of making the soundtrack (for Ryan Gosling’s nourish ‘Drive’) only to have it scrapped or would you like to try your hand at scoring soundtracks again? Johnny Jewel: It’s too bad that you won’t ever see that film with my score but I’m no stranger to things being left on the cutting room floor. Out of all the music I have ever released on Italians Do It Better, it’s actually only about 5% of the recorded work. Both Ryan and (director) Nicholas Refn have spoken to me about working on future projects but we’ll see. If we go there again, it’s going to have to be something special. We run our own record label because we don’t like having to answer to anyone. But when you have millions of someone else’s money involved, you can’t expect it to be all about art. DD: What are your plans for 2012 and beyond? Johnny Jewel: We're trying to wrap up “After Dark 2” for May with new tracks from Desire, Glass Candy, Mirage, Farah, Mike Simonetti and hopefully from Chromatics. After that, Ida and I are still tracking for “Body Work” hopefully for the Fall but we’ll see. It always takes me longer than I think it’s going to. Music sounds so simple sometimes when you listen to a record – I forget how difficult it is to go from concept to reality.